Alan H. Bryce MD, presented “Genetic Testing and Next Generation DNA Sequencing” during the 27th Annual Perspectives in Urology: Point Counterpoint on November 9, 2018 in Scottsdale, Arizona. Large-scale genome sequencing of prostate cancer has led to a rapid expansion in urology regarding the genetic drivers of disease. Evidence proves DNA damage response (DDR) genes to be frequently altered, both in germline and somatic testing. The rate of alterations increase as disease progresses from locoregional to metastatic non-castrate, and then from metastatic non-castrate to metastatic castration -resistant. New systemic therapies, such as PARP inhibitors, may better target DDR alterations in up to 25% of metastatic patients. DDR mutations can also drive familial prostate cancer risk. 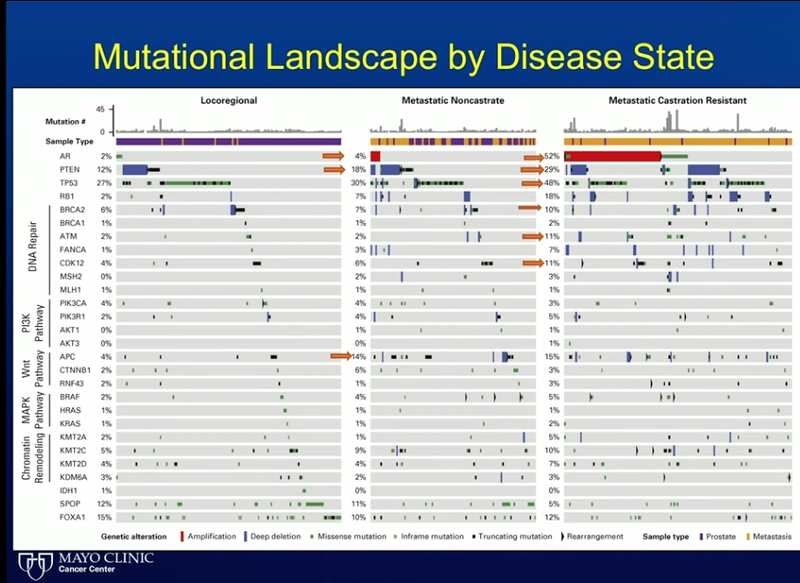 However, screening continues to under-utilize DDR mutations. Current screening guidelines fail to capture a substantial portion of patients with high-risk genetics. Therefore, more widespread testing for germline mutations is necessary. A variety of other recently-identified, frequently altered genes have implications for immunotherapy, targeted therapy, and treatment sequencing. Because of this, future treatment paradigms will likely incorporate germline and somatic mutation data. Perspectives in Urology: Point Counterpoint (PCP) is an annual CME-accredited conference devoted to discussing and debating the latest topics in men’s health, general urology, and genitourinary cancers. The conference’s format includes more than didactic lectures. It also includes debates, point-counterpoint discussion panels, and unique case-based presentations. Dr. Bryce presented this lecture during the 27th PCP in 2018. Please visit this page in order to register for future PCP meetings. Dr. Bryce studies cancer genetics and novel therapeutics with a focus on personalized medicine. His clinical practice focuses on genitourinary malignancies (prostate, kidney, bladder, and testicular cancers) and melanoma. He is Chair of the Division of Hematology and Medical Oncology and Assistant Professor of Medicine at Mayo Clinic in Phoenix, Arizona. 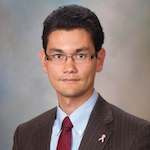 He is also the Medical Director of the Genomic Oncology Clinic at Mayo Clinic Arizona, where he utilizes whole genome sequencing of tumors to identify key driver mutations. This approach allows for precise targeting of a patient’s tumor, leading to a greater chance of remission. Dr. Bryce participates in community outreach to underserved populations and has in interest in health disparities research. He also conducts Phase I clinical trials of new cancer drugs.